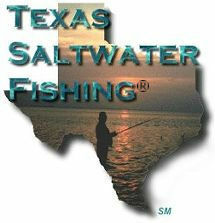 Texas Saltwater Fishing Upper Gulf Coast Area Saltwater Fishing Guides. Covering The Sabine Lake, Galveston, Galveston Bay,Crystal Beach, Port Arthur, Seabrook, Freeport, Surfside Beach areas . We offer Texas Saltwater Fishing Reports, Waterfowl Hunting Guides & Outfitters, Bait Houses, Marinas, lodging. Trout Trophy Red Fish Offshore Fishing For King Fish Shark fishing. Click on a picture below and Let's go Fishin'!! Copyright © Texas Saltwater Fishing.com. 1997- 2019 All Rights Reserved.